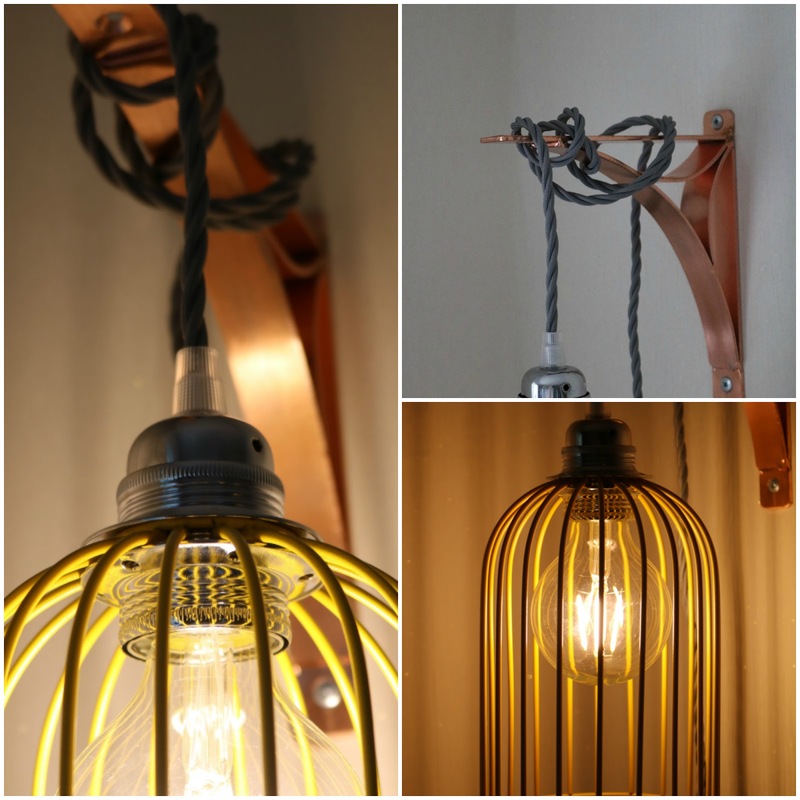 You can buy one of their pre-desgined pendant lights or you can customise one whereby you choose the bulb, the colour of the cage lamp shade and the colour of the cord/cable. To buy a pre-designed kit it's £75 but if you wanted to make one yourself and choose different colour then it's £77. I choose the *Filampthropy grey 4.5m cord, yellow cage and the G80 Globe Edison bulb. I wanted the lamp to be quite neutral and classic but with a hint of colour with the bright yellow cage. I love the colour combination, I think the grey and yellow work so well together and it fits with the rest of the decor on my office as I have a mixture of rose gold, natural tones and greys but the yellow adds some colour to the room. I bought a rose gold shelf bracket from B&Q which was around £8 and it worked well with the lamp and the cord stays on easily without moving or sliding off. The cord is quite long so I wrapped it around a little more than I wanted but I love the way it looks on the wall - it's so unique and it makes an interesting feature. I have mine on the wall but I think it would look equally gorgeous hanging off a shelf or book case. When it's on during the dark and chilling evenings, it looks amazing! The bulb gives off a warm light which I wouldn't usually like as I prefer cooler toned light but it looks great with the lamp and adds a warm, cozy light to the room. I don't know why but to me the lamp looks almost victorian as it's looks quite industrial, the bulb is large and it looks old fashioned to me! Overall, I'm really happy with my new pendant lamp, I think it looks so unique and gorgeous! The colour combination works well with my decor but you could choose from the other colours available on the website. As I customised mine, it came as three separate parts (the cage, cord and bulb) but it is incredibly quick and easy to put together and to hang up on a wall/shelf bracket. Overall rating: ★★★★★, 5/5. What do you think of my new pendant lamp? Labels: decor, filampthropy, homeware, lamp, Lifestyle, office, pendant lamp. Categories: decor, filampthropy, homeware, lamp, Lifestyle, office, pendant lamp. I love these kind of industrial looking lamps! The yellow adds a pretty pop of colour too! This is amazing! I adore this so much! I need it for my flat! I love the look of that pendant lamp shade. I like that you can choose your own bulb for it too!